A refreshing and eclectic mix of deeply personal and formal essays that offer a glimpse into the minds of some of Canada’s most influential poets. 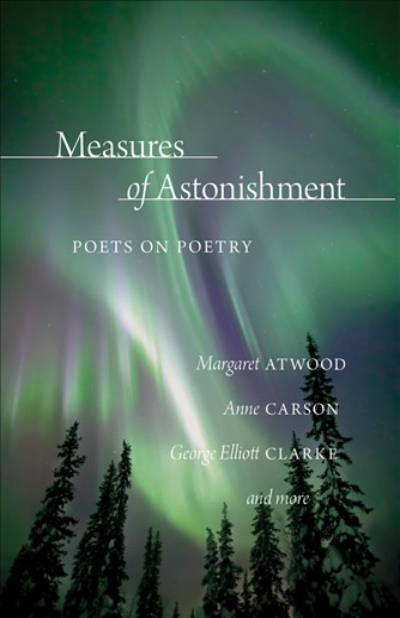 Measures of Astonishment shines a northern light on poetry, offering unique perspectives as to what it is, what it does, and why it matters. This book includes A. F. Moritz’s essay, “A Garden Is Not a Place: Poetry and Beauty,” delivered as the 2013 Anne Szumigalski lecture of the League of Canadian Poets. It also contains essays, originally Szumigalski lectures, by a who’s who of the country’s literary elite, including Margaret Atwood, Don McKay, Anne Carson, George Elliott Clarke, Tim Lilburn and many more. Order this book from Amazon or ask for it in your local independent bookstore! Attend the Book Launch on June 17, 2016 from 5-6pm at the Harbourfront Centre in Toronto!